When you are in the market for strong permanent markers, Markers 4 U, Inc., features a huge stock of great Sharpie permanent markers. 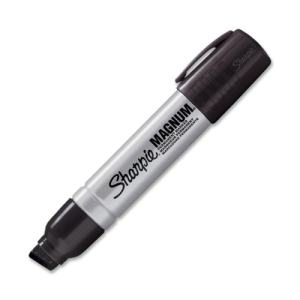 The Magnum 44 Sharpie permanent marker is known for it’s oversized tip, which make extra wide lines. It features water resistant ink, which is known for it’s ability to mark on both wet and oily surfaces. Furthermore, the ink always dries quickly, which means you can mark with confidence in even the wettest conditions. Our team is confident that you will be pleased with this strong, tough marker.